Both these songs are just incredible, specially the amazing backgound of "shraabon ojhor jharey". We had to wait many years before the VCD of this film was released. 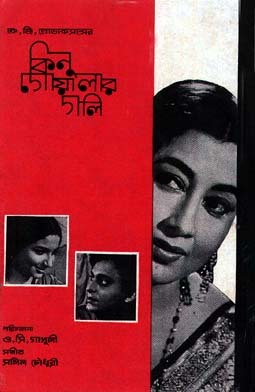 Fortunately the soundtrack is undamaged which is quite rare and the amazing extended prelude of "shraabon ojhor kharey" is a definite bonus. 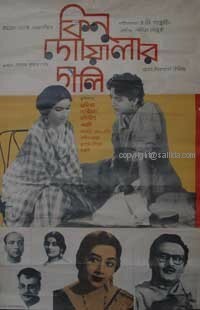 Thanks to another Salil admirer, Sudipto - who gave me this very rare film poster.